Turbo’s first project was launched Saturday, March 28th in preparation for April, transit month. Nolensville Pike is one of Nashville’s top bus roads, but waiting for the bus is not so pleasant on this busy road. Nolensville Pike is a road mainly designed for cars, rather than pedestrians and bikers. Many times you will see pedestrians struggle to cross the street or sitting on the sidewalk because there are few bus stop benches. 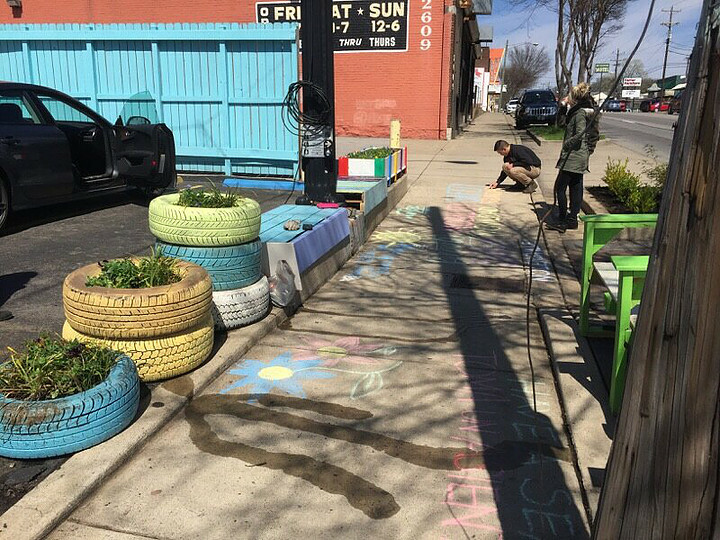 Turbo’s installation is located by the intersection of Joyner and Nolensville Pike. The goal was to make waiting more pleasant with plenty of seating and more greenery. Additionally, we added informational signs about bus routes and pedestrian safety. Pictured are photographs of field surveys, clean ups, designs, set up, and the final project. Native Magazine featured this project in their April edition as well. Also a big thanks to ACER Landscape Services for donating the beautiful plants! Make sure to stop by, enjoy the installation, and grab some great food from La Hacienda. 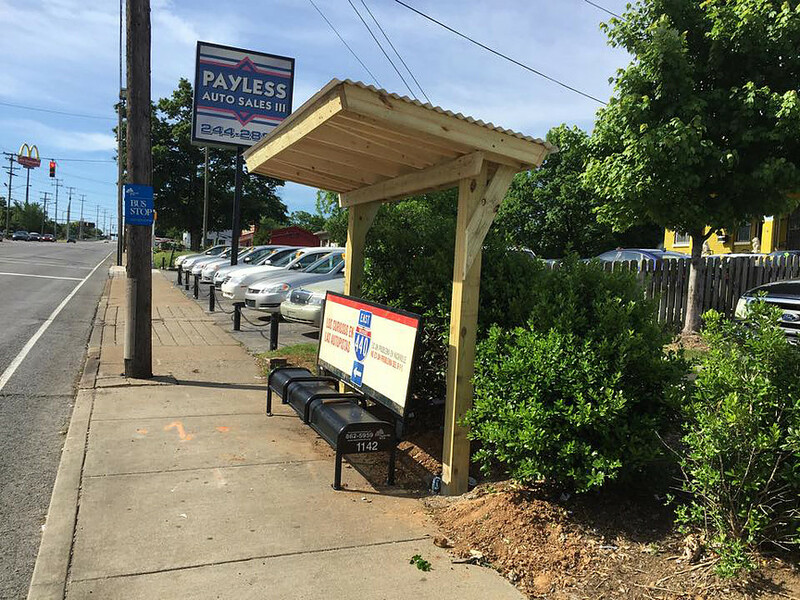 More bus stop installations along Nolensville will come in the future. Please fill out the get involved formif you want to get participate in future bus stop projects. Want to know more about TURBO Bus Shelter? Take a look at our Modular Bus Stop Project.